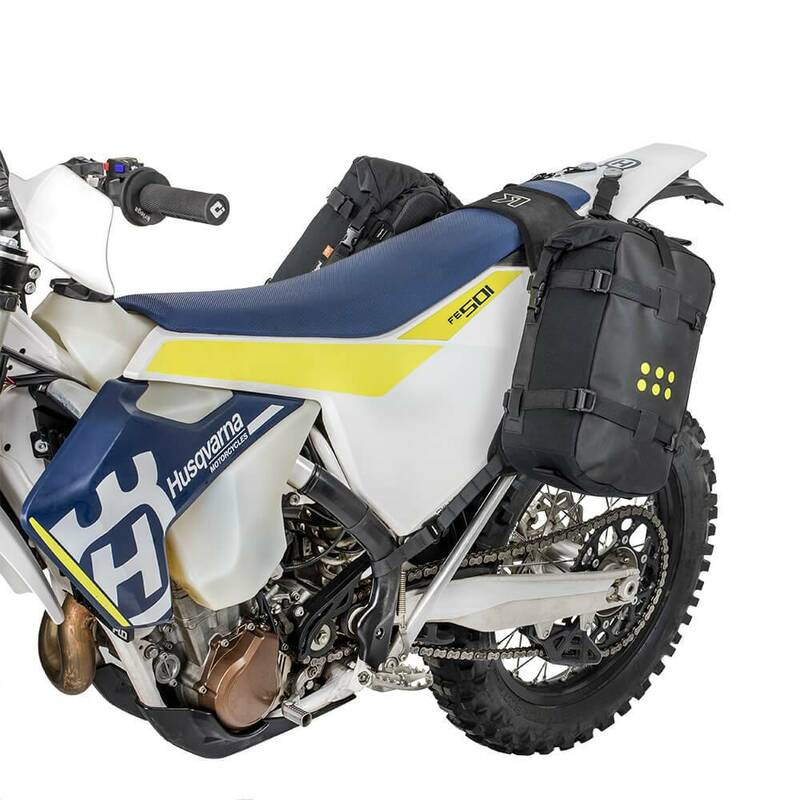 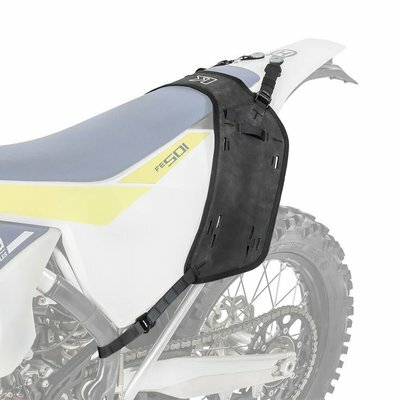 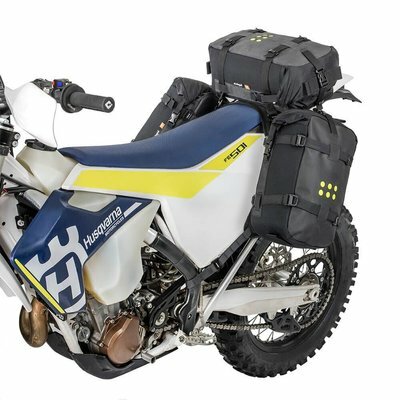 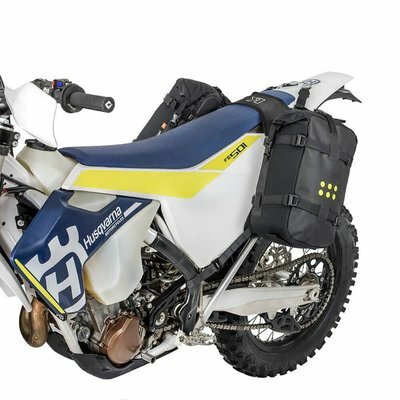 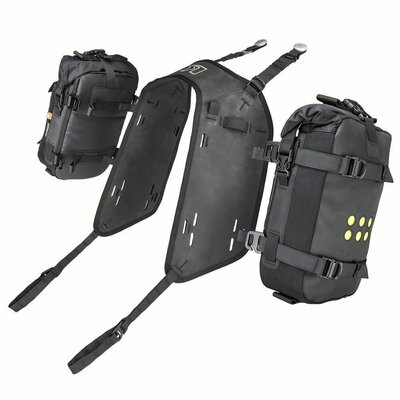 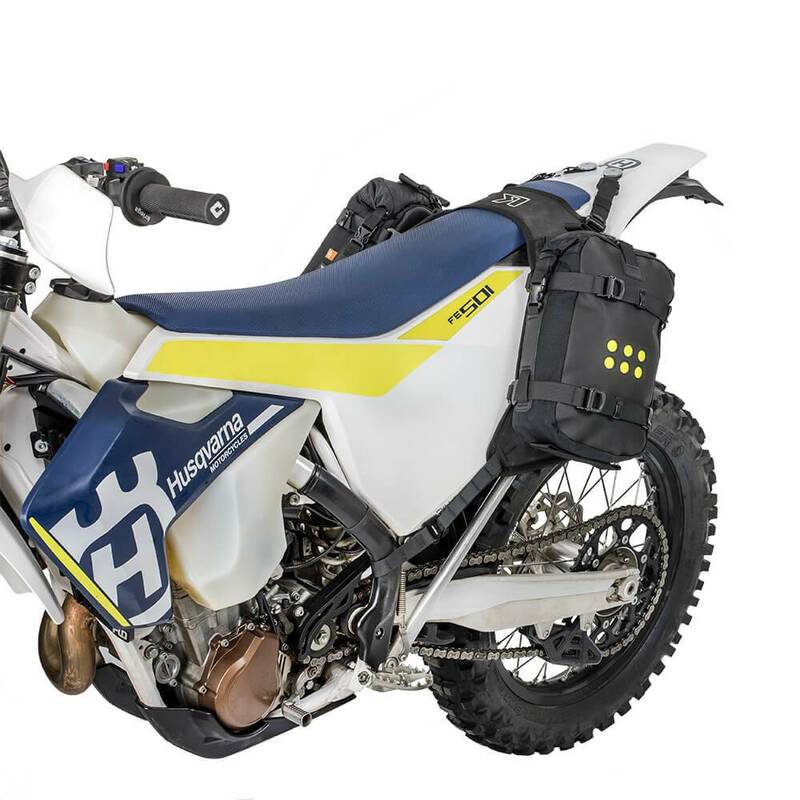 Innovative modular pannier system for your Off- and Allroad motorcycle. 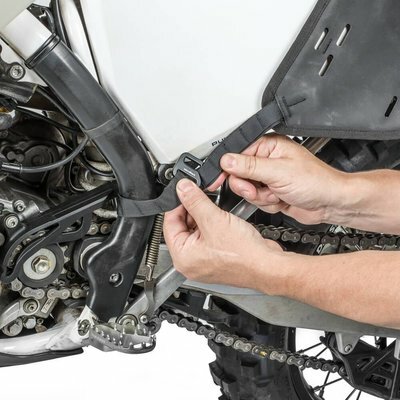 The OS-Base offers a mounting method for the OS6, OS12 or OS18 bags from the OS-series for Off- and Allroad bikes without having to use a mounting frame or luggage rack. 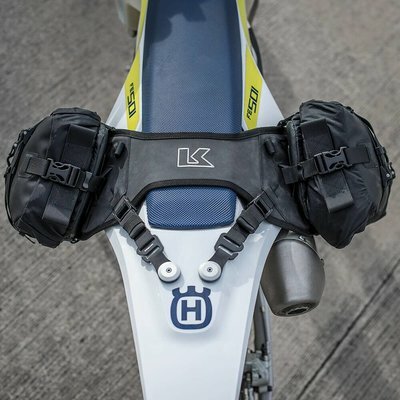 The modular design allows you to choose from a variety of bag mounting options. The OS-Base offers space for the OS-6, 12, 18, Overlander 15, US-Drypacks and A dufflebag or tent as a top bag. 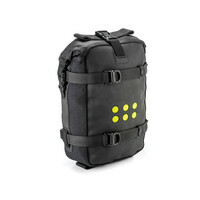 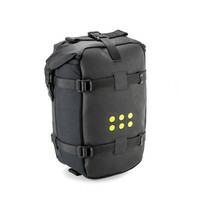 This top bag can then be secured with the mounting loops on the OS-Base and optional pull straps. 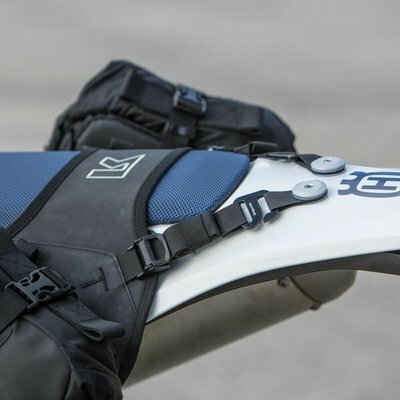 After the OS-Base has been initially installed, it can be easily disassembled and reassembled for repeated use. 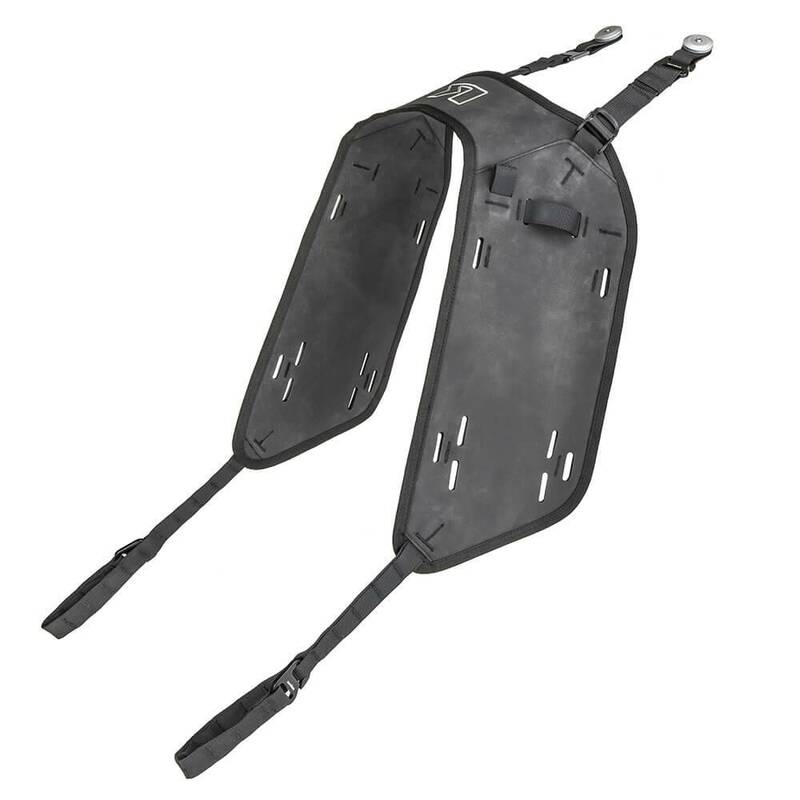 Strong but lightweight construction due to the use of very strong Hypalon in combination with a semi-rigid core of polypropylene. The OS-Base is supplied with 2 OS-Rackloops which can be attached by means of 2 x 6mm holes through the mudguard. 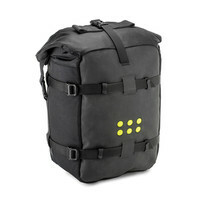 Delivery consists of the "Harness" and OS-Rackloops, bags are not included.